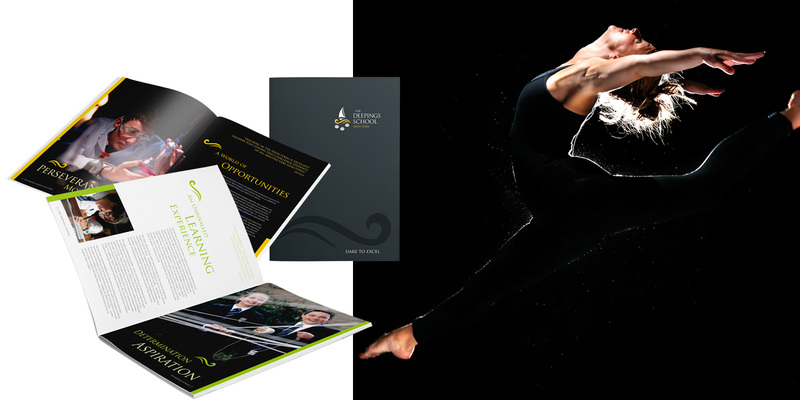 Cleverbox provided full branding for the Deepings School. 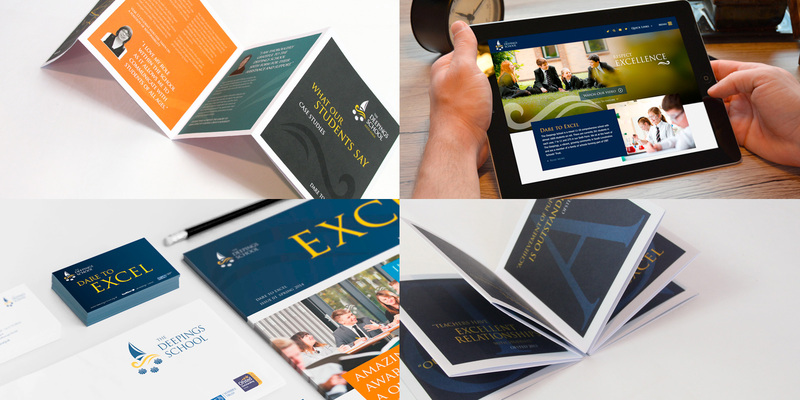 Starting with a new logo, we crafted a distinct and professional style for their main school and Sixth Form prospectuses that we then carried through their website and a wealth of other materials, such as posters, adverts and mini recruitment brochures. Elegant typography in a clean and modern design makes for a stylish, professional image that expresses confidence and quality; characteristics representative of their motto ‘Dare to Excel’. Along with their main school and Sixth Form prospectuses, we developed a set of smaller marketing flyers full of powerful quotes from students and Ofsted. We have been quite simply wowed by their approach, ideas, professionalism and what they have achieved for us. Our project manager is always available to be on hand to answer questions, develop ideas and to plan for the future. The quality of the material they have produced for us is simply amazing and we know first hand the impact it has had.